Product prices and availability are accurate as of 2019-04-21 22:20:21 UTC and are subject to change. Any price and availability information displayed on http://www.amazon.com/ at the time of purchase will apply to the purchase of this product. 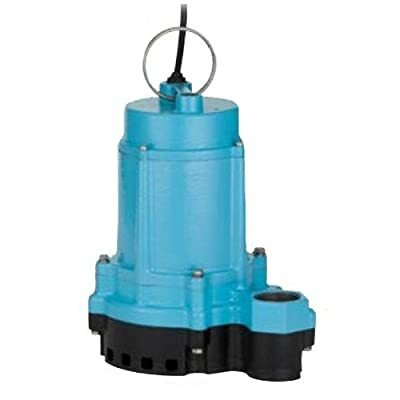 A Replacement for the 6En platform, the 6Ec series pumps are designed for continuous duty, feature permanent split CAPACITOR (psc) Motors with thermal overload protection, handle solids up to 1/2-Inch (12.7 mm) in diameter and have a 140-degrees Fahrenheit (60-degrees Celsius) liquid temperature rating. All 6Ec and 10Ec series models include a 2-year warranty and are offered with the reliable snap-action float switch (sfs) featuring rugged stainless steel switch arms.